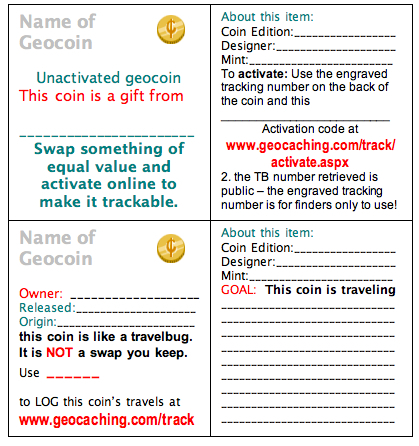 Customisable travel documents for geocoins left in caches as trades or travelers. 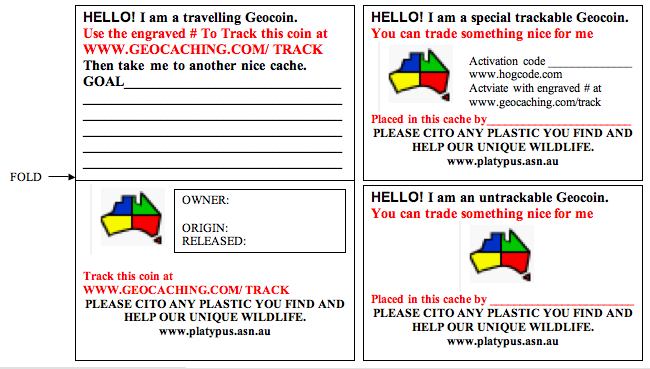 Click on the pictures for full size and print onto light card stock. Download the MS word .doc files if you want to personalise them a bit more before printing. edit this doc for the others in the series. Design for Australia shown cause i did the artwork for the front (contributed to Singapre by Ronde Haan and Malaysia which Cinema boxers finished off ). Very cool. Just what I’m looking for. Thanks!!! What a great idea. I’ll have to come back and borrow one soon. Thanks. I love these! 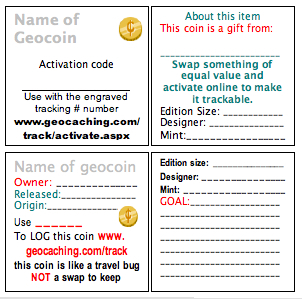 All of my geocoins have one and I give them to the coins I move along, too.